Some people don't like work meetings because they feel like they're a waste of time. But when you're the boss and you have things that need to be communicated and resolved, you need everyone there and ready to work. If you want your meetings to be of value, you need to make them as productive as possible. 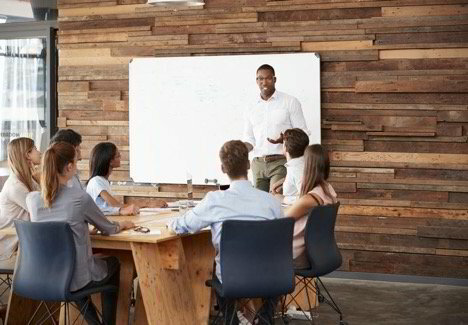 Here are five tips to make your work meetings more successful. There are a variety of reasons why people don't always show up to meetings. Sometimes it's because they were unaware that there was a meeting, and sometimes it's because they don't think that they'll be discussing anything useful. However, you need everyone there to ensure that all parties on the same page and so that you can have everyone solving problems together. Room management software increases meeting attendance by ensuring that everyone knows where and when they need to be in a specific place. You should also communicate what is on the agenda so that people know that there will be important topics to discuss. Make sure that you have a very specific agenda. Not only will this communicate to your employees that there are important things that need to be discussed, but it will also keep your meetings focused and ensure that you hit all of your points. When people have side conversations, this is a sign that they don't respect the meeting. It's also a frustration for the people who are trying to listen and stay engaged in the meeting. To alleviate the problem of side conversations, keep your voice at an even tone, but don't be afraid to stop talking until they finish. They'll get the hint. You should also have your meetings in a professional space. When the environment is too casual, the meeting tends to take on a relaxed, party atmosphere. While your meetings need to have structure, make sure that you are involving them in the problem solving when appropriate. People's attention can wander when they don't feel like they have anything to contribute, so ask them their opinions. One creative idea for making meetings interesting and keeping your employees attention is to make it a standing only meeting. Remove all the chairs from the room and speak to everyone like that. Have pre-meeting and post-meeting conversations with your employees so that you are aware of issues that they are having. After the meeting, follow up with them on how the new plan is progressing. This is to show to them that you're following through and that ideas need to be implemented to be effective. Meetings can be a challenge if attendance is low or there isn't a clear purpose. Make sure that you develop a professional environment so that your employees feel that it's worth their time. If you feel you or your workers need to improve, make sure to keep EduJay in mind! We offer exclusive success coaching to help you and your employees to be as successful as you can!